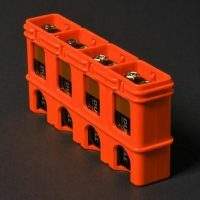 Please be aware that US Federal regulations qualify certain lithium batteries as “Hazardous Materials”. This qualification carries with it an additional fee of $75 if said items are transported via aircraft. Additional fees for these items are also assessed if shipping internationally. This is a flat fee and will only apply once for shipments containing a qualifying item. If shipping within the US you may avoid this fee by selecting standard ground shipping. Otherwise we will contact you with a final shipping quote upon receiving your order. 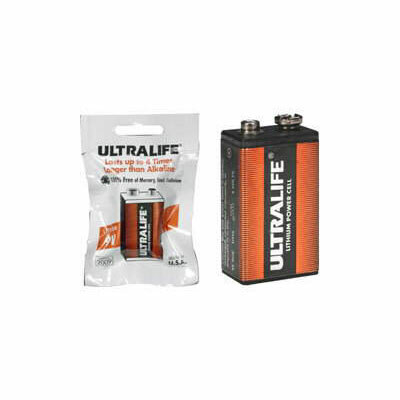 Ultralife Lithium 9 Volt Battery. 4 times the life of an alkaline! Individually wrapped in foil packs.